It's true what they say, that small things can make a big difference. Not least in that they can create a virtuous momentum of their own. F1 is demonstrating this in 2017, and not just because of the small, but big, things it's started to do to promote itself better. The on track action is much more captivating too, as in a small, but big, change the two protagonists at the front are not from inside the same team. 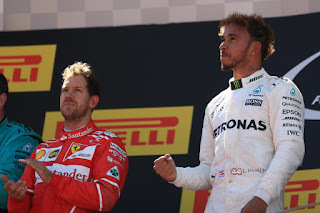 And the difference on show in the Barcelona race just passed, compared with what we got used to in the intra-Mercedes fights of previous years, could not have been more stark. Not least in the strategic punch and counter punch. Monaco GP Betting Preview - Lewis's to lose? Monaco Preview: As big a change as we think?